Make laundry day easier with this all-in-one Honey-Can-Do Laundry Storage Station. This handy solution includes two wire shelves, one wire basket, one hanging bar and four casters (two locking). The hanging bar provides 36-inch of hanging space, while the shelves offer ample space for storing detergent, dryer sheets, folded clothes and other laundry essentials. A contemporary chrome finish and sturdy steel frame create the perfect blend of style and functionality, and smooth rolling casters make moving the unit a breeze. Laundry Storage Station Make laundry day easier with this all-in-one Honey-Can-Do Laundry Storage Station. 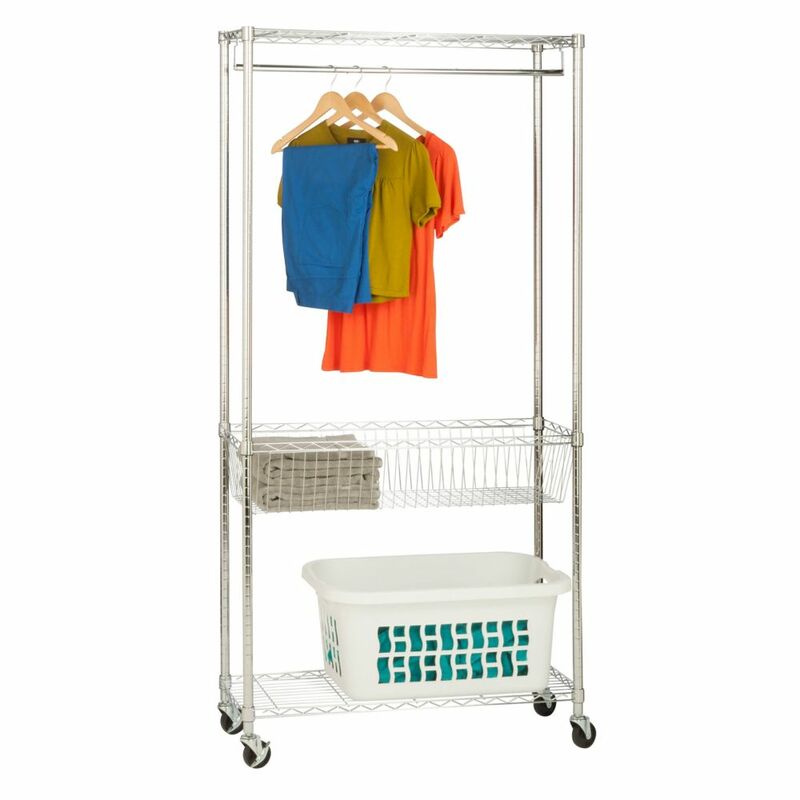 This handy solution includes two wire shelves, one wire basket, one hanging bar and four casters (two locking). The hanging bar provides 36-inch of hanging space, while the shelves offer ample space for storing detergent, dryer sheets, folded clothes and other laundry essentials. A contemporary chrome finish and sturdy steel frame create the perfect blend of style and functionality, and smooth rolling casters make moving the unit a breeze.